Want a chance to win 1 of 5 Ultimate Meditation Kits? The Urban Monk Meditation Kit Giveaway! 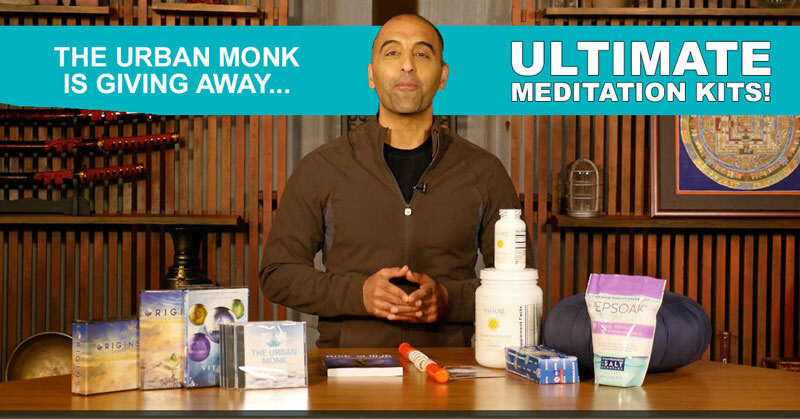 In celebration of Pedram Shojai's new book The Urban Monk hitting the New York Times best seller list, we're giving away 5 Urban Monk Ultimate Meditation Kits on April 30th, 2016. These thirteen hand-picked items are valued at nearly $400 and will help you relax, reconnect and get in touch with your inner Urban Monk. Everyone who enters the contest will be able to invite their friends and family for even MORE entries to win. We're also giving everyone who enters access to our free 7-Day Urban Monk Reboot. You'll get several great bonuses and a series of videos from Pedram explaining how to reboot and reconnect over a week. Good luck and stay grounded! Signed copy of Pedram Shojai's new book, The Urban Monk!